Do you have a garden design idea but are unsure of where to begin? Are you looking for an experienced landscape design company in the Puget Sound area? If so, look no further than Lake Washington Landworks, LLC. Before planting anything, a plan needs to be devised. That’s where we come into play. As a leading landscape company in Kent, WA, we will work with you during every step of the consulting and design process. You are guaranteed results that are sure to impress. A well-designed landscape in Kent, WA creates an environment where people can relax and escape their daily routine. It should also be easy to maintain, while providing lush greenery all year long. At Lake Washington Landworks, we are in the business of designing some of the most breathtaking landscapes throughout the area. To us, landscape design is much more than simply incorporating individual elements into the finished piece: It is about planning the future of your outdoor living space and maintaining its beauty for many years to come. Through a detailed consultation, we can help you formulate a plan of implementation that combines the needs of your garden with the individual needs of the home or business owner. What type of plants do you desire? Different customers like different vegetation. Our gardeners will learn what plants you like the most. From there, we can determine which plants will be the best choice for your landscape. The size of our lawn will determine how many plants are needed to complete the project. We will also determine a layout for your landscape in Kent, WA. We won’t begin any work before knowing how much you want to spend. We are an honest landscape company in Kent, WA, and we will make sure to stay within your budget. The next step is to schedule the work and set individual priorities for each phase in the process. We can also help you manage the budget by phasing out the project if necessary. We understand that, as with any other project, a successful long-term landscaping plan involves keeping in mind your distinct scheduling and budgetary requirements. Our team is fully equipped to handle a wide range of difficult site conditions, such as poor drainage, easements, problematic neighbors and/or poor access. We are able to not only help with all types of challenges but also do it in a creative way, always leaving your property aesthetically pleasing and with easy access and comfort. We respect your privacy and the security of your property, never compromising either one throughout the design process. Our commitment to customer satisfactions means that we strive to create an overall rewarding experience for our valued customers. Your landscape must work for your needs. We will determine proper placement of each plant to ensure they thrive without competing with neighboring plants. Our designs will match your personal tastes. We will present several options to make sure your new landscape is a good fit. We will design a landscape that will provide years of enjoyment. By taking into account soil, sunlight, and water, we can create a living space that will thrive. As a landscape company in Kent, WA with over 20 years of experience, you can count on us to design a space that will look great during every season. Our passion for great landscaping is apparent in every job we complete. 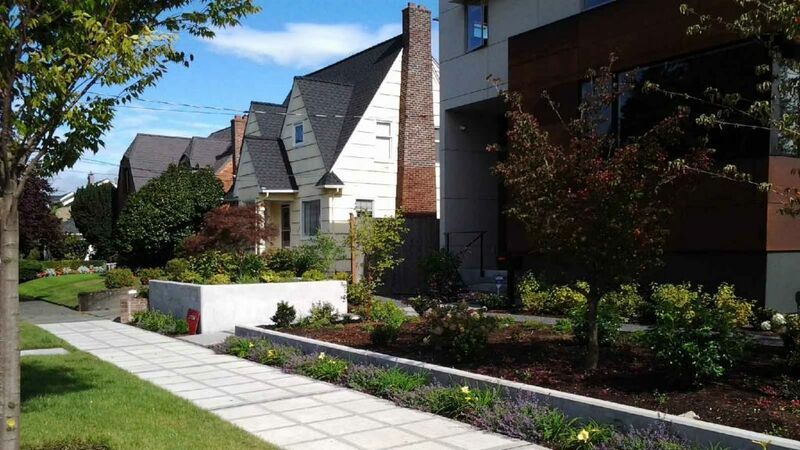 To find out more about our landscape design process in the Puget Sound, WA, please do not hesitate to contact Lake Washington Landworks, LLC today.